New study shows geothermal food drying may benefit Jordan’s economy. Based on recent research conducted by Michigan University master’s students in cooperation with the United Nations Development Programme (UNDP) and the Jordan Exporters and Producer’s Association for Fruit and Vegetables (JEPA), geothermal energy may show potential for Jordan’s farmers, consumers, exporters and for the overall economy, as a method for drying food. A pilot facility in the country may be built in one of its geothermal hot spots. According to the feasibility study, livelihood in the country may be improved by the geo-thermal process. It may also decrease spoilage and even boost Jordan’s trade balance. Researchers suggest that constructing a 3,000 square meter facility in one of Jordan’s geothermal regions would amount to a JD 770,000 price tag that could be paid back in four and a half years. It is estimated that every year this facility would have the capacity of producing 72,000 kg of dried foods, which would primarily consists of dried peaches and tomatoes. Geothermal energy anomalies are not uncommon in Jordan. Some of the down-hole temperatures within certain dry wells that have been drilled in Risha and the Azraq Basin for gas exploration and oil are in excess of 140 degrees Celsius (approximately 284 degrees Fahrenheit). After the study’s results were released, Zuhair Jweihan, the president of JEPA commented that Jordan has extensive geothermal resources available that have gone unused for the most part. He said that “we have the ambition of finding ways to use such resources in a way that will help reduce our dependence on traditional sources of energy.” Jweihan believes that with the help of geothermal dehydration technologies, the quality of agricultural products and the value of their nutrients can be maintained and producers of these foods will still manage to achieve good profits in local markets and internationally. 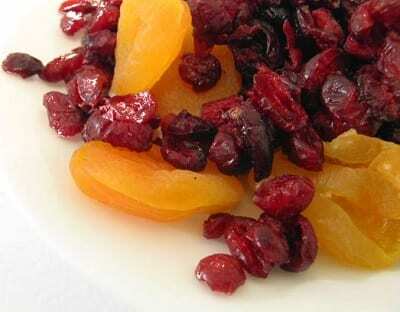 Dried fruits and vegetables that are the product of geothermal energy make premium snacks and ingredients. The process is very hygienic, as renewable and clean energy are utilized and no preservatives are added.